Members of the Poor People’s Campaign wait to speak with Gov. Matt Bevin in Frankfort. Bevin reiterated his stance that lawmakers should be the ones tasked with changing the state’s constitutional ban on voting for felons. Because Kentucky’s constitution permanently bans people with felonies from voting, a permanent change to the policy would have to be an amendment to the constitution. 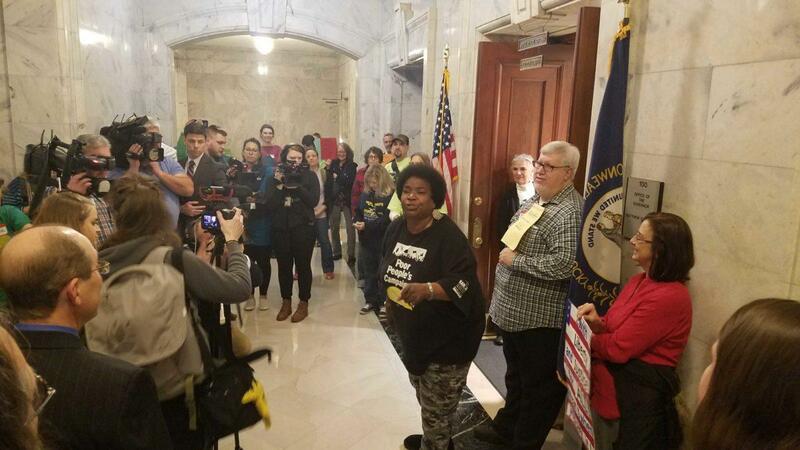 Activists with the Poor People’s Campaign asked Bevin to “re-enact” Beshear’s executive order. 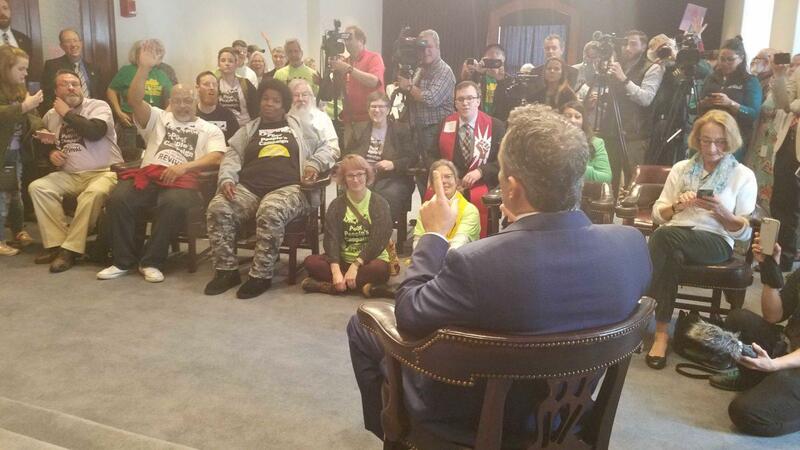 “There are people who grew up in poverty and people who didn’t grow up in poverty who are trying to get their rights back,” Bevin said. According to the Sentencing Project, more than nine percent of Kentucky’s adult population can’t vote because of a felony conviction. That includes 26 percent of the state’s African-American population. After Florida voters struck down their state’s permanent voting ban for people with felony convictions, Kentucky and Iowa are the only states to do so.